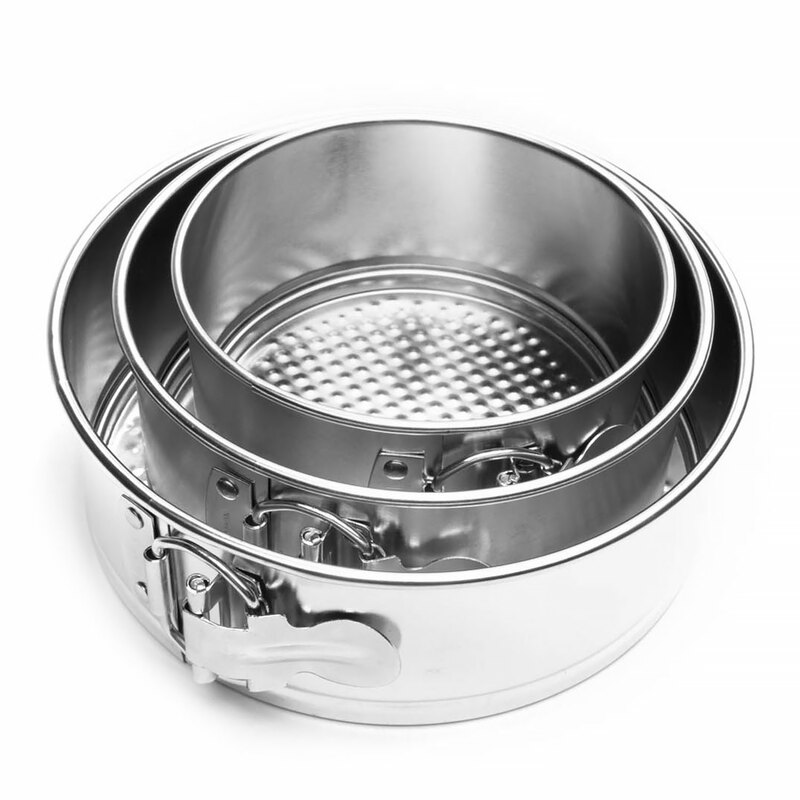 7" diameter x 2½" deep Set of three springform pans with removable, waffle textured bottom plates. Undo the spring lock to release the sides. Made of tinplate. Set includes a 5, 6, and 7" pan. Set of three springform pans with removable, waffle textured bottom plates. Undo the spring lock to release the sides. Made of tinplate. Set includes a 5, 6, and 7" pan.